Do you own a motorcycle? Have you been looking to buy a motorcycle? While there may be some very good deals around Northeast Georgia, you’ll want to make sure that all the locks work as advertised, and that you have a spare set of keys for the motorcycle’s ignition, gas cap, and storage compartment. The last thing you need is to get locked out of your motorcycle. We’re a local mobile locksmith which means we are always nearby and offer affordable key cutting services. Don’t bother towing your bike to the dealer or a mechanics shop, we’ll come to you! We also make keys for mopeds, ATV’s, RV’s, cars, and more! 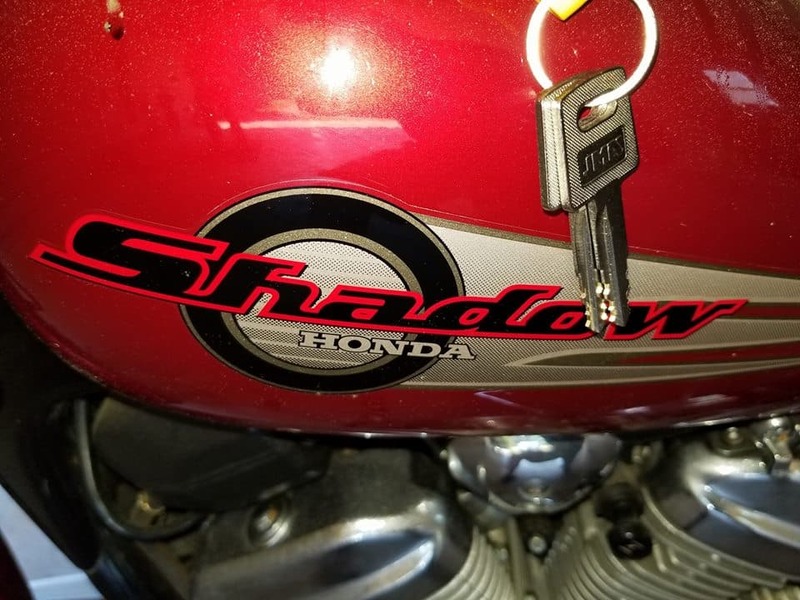 We cut extra copies of the ignition key for this Honda Shadow. 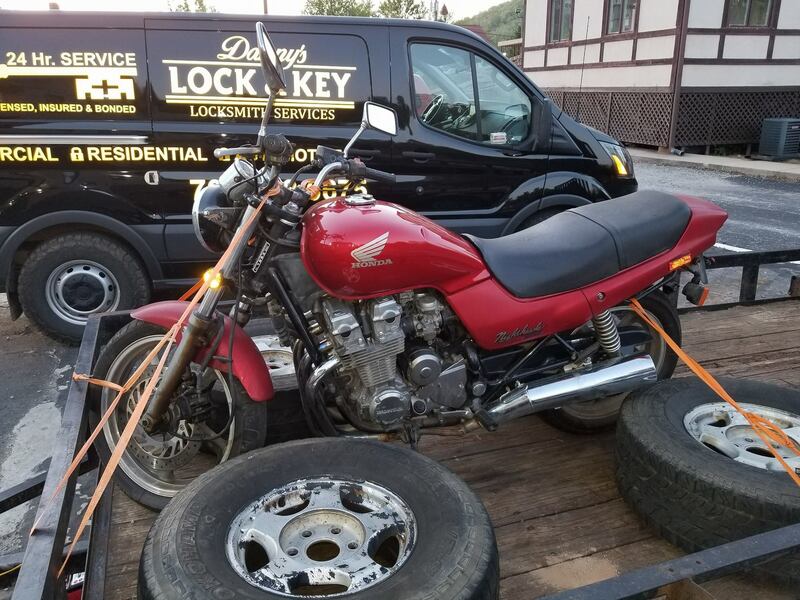 Originated new keys to this 1993 Honda NightHawk 750 in Helen, Georgia. As a NASTF approved auto locksmith, Danny is able to generate new motorcycle keys for you, as well as duplicate a key too. We’re able to do this using our proprietary resources available only to legitimate, insured, and background checked locksmiths. This saves you time and money because we don’t have to pick the lock, remove the lock or full ignition in order to decode the key. We can simply pull a code (if available for your year, make, and model) and cut the key using one of our high tech key machines.